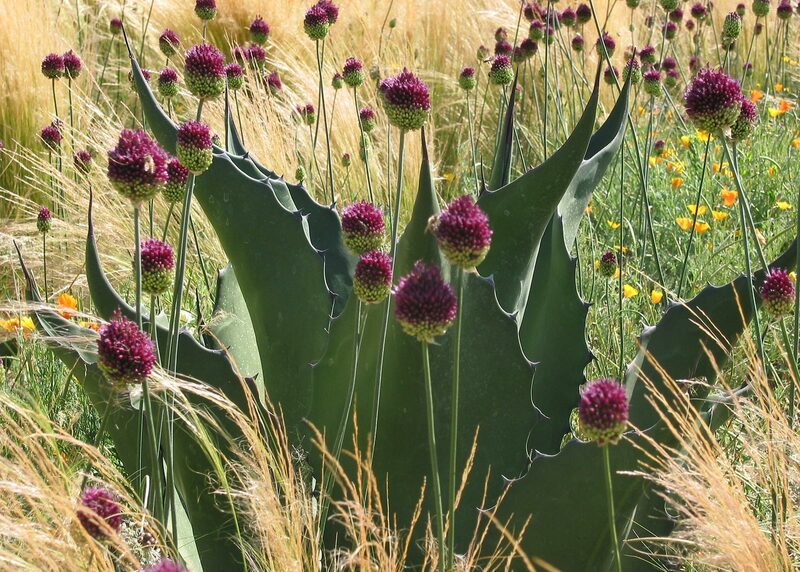 The Garden of Contrast at Cornerstone Sonoma is a study in ephemeral impressions. The geometric framework of the garden is a circle bisected with a hedge of rosemary that divides the garden into contrasting textures, forms, colors, and scents. 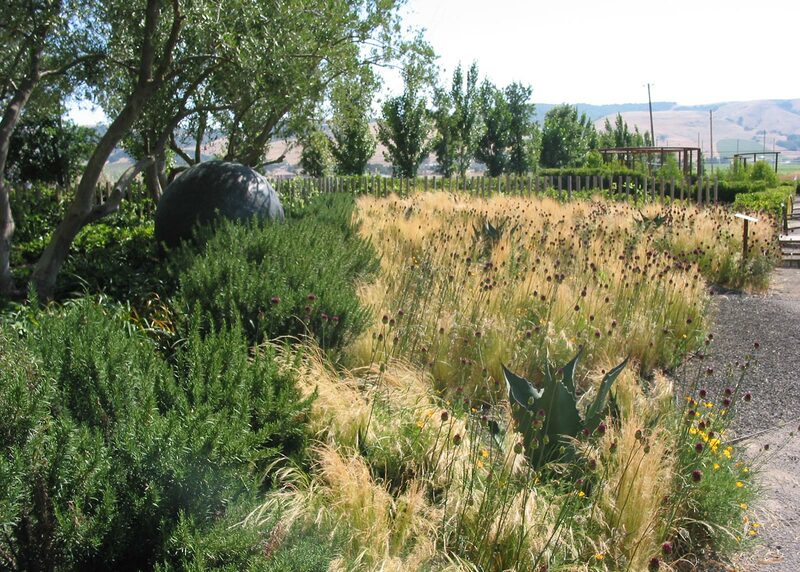 A sunny ground plane of low, textural grasses is interplanted with agaves and highlighted with colorful poppies. 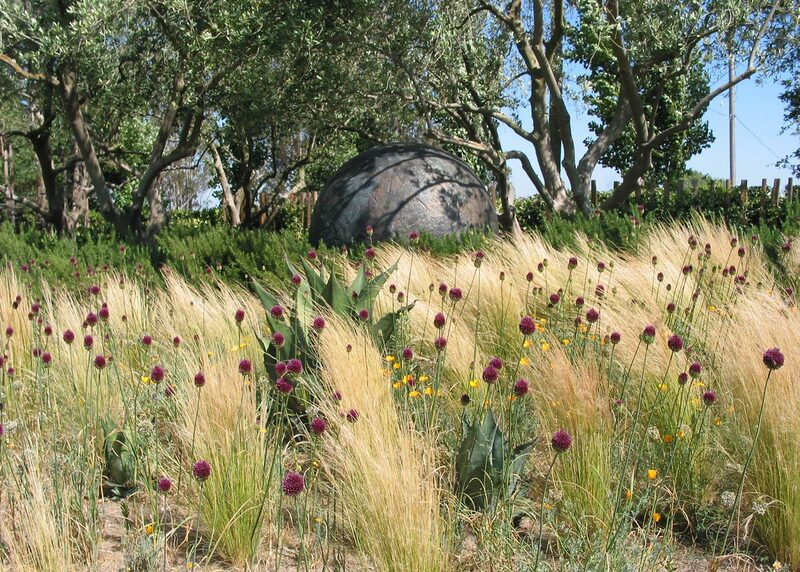 A grove of olive trees provides shade and opacity as the seasons advance, and a sculptural sphere by Grace Knowlton adds an alluring and dramatic effect. 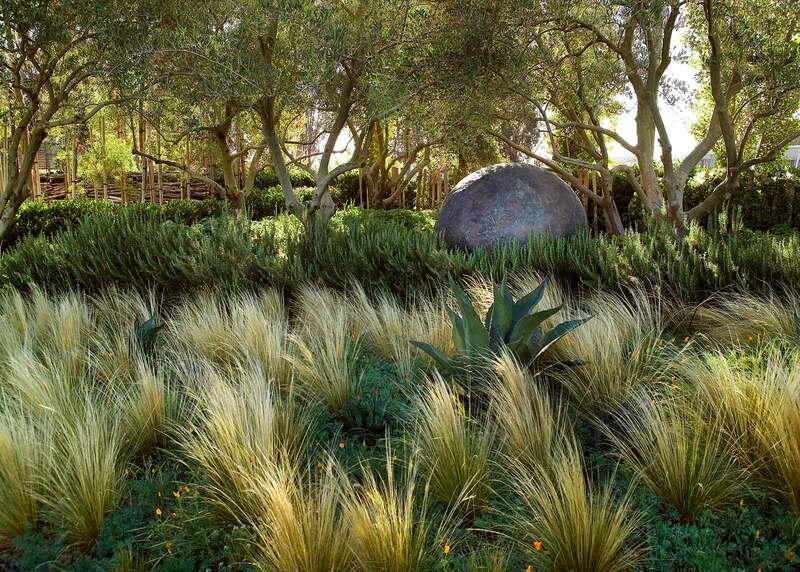 Ephemeral natural patterns of sunlight, shadow, and plant texture reinforce the garden’s dynamic qualities. Seasonal change is marked as plants emerge in the spring, blossom in summer, change color in autumn and fade into dry foliage in winter.